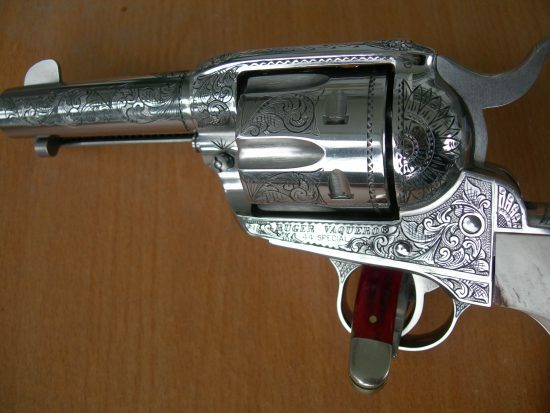 Beautiful cowboy gun. Approximately 50% American Scroll engraved coverage in 44 Spl. This is a gun that would have warmed Skeeter Skelton’s heart! Engraved Ruger Vaquero, beautiful cowboy gun.